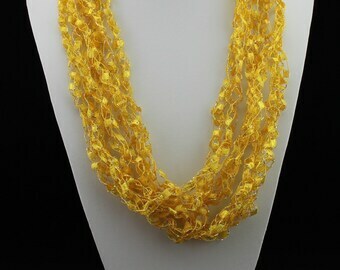 Perfect gold necklace for the holidays! 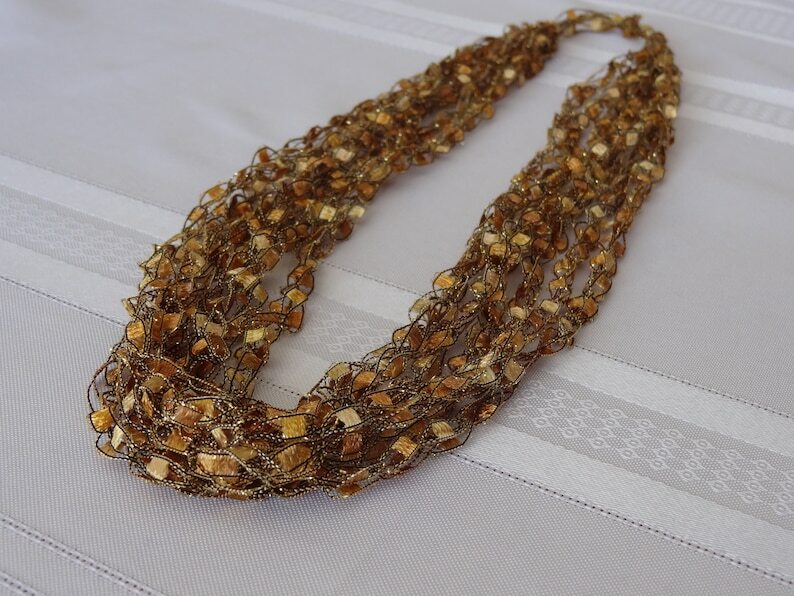 Beautiful, warm, nutty shades of gold - highlighted by a shimmering lurex thread - for dressy or casual looks. 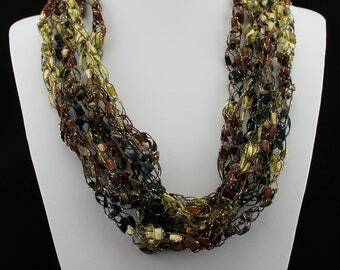 This necklace works well with black, shades of brown and gold, and olive green! 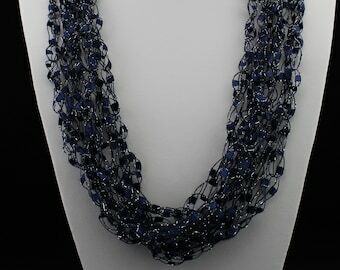 There are 7 crocheted strands - enough for a lovely effect and yet so lightweight you hardly know you are wearing a necklace! It is called Ladder or Trellis Yarn because it consists of soft, woven panels suspended between contrasting or same color threads. 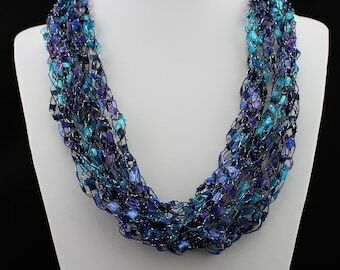 A shiny Lurex thread fed through the sparkle necklaces give the appearance of beads or gems without the weight. Most Ladder Yarn is made in Italy or Turkey and we crochet it for added dimension. Be sure to look at the close-up photo for color detail! 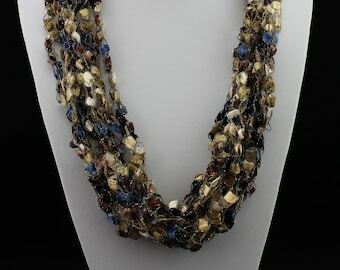 Not all of our necklaces have the Lurex thread - the silky rich colors of non-sparkle necklaces add texture and depth. 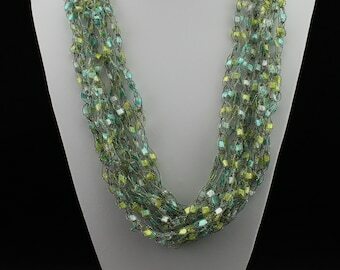 Our crochet ladder yarn necklaces are light as air and enchanting with incredible drape. 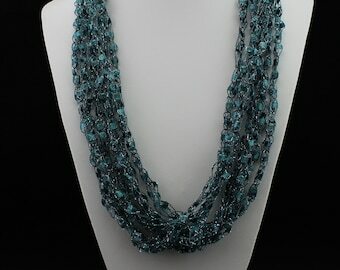 There is no clasp; necklaces slip over your head. 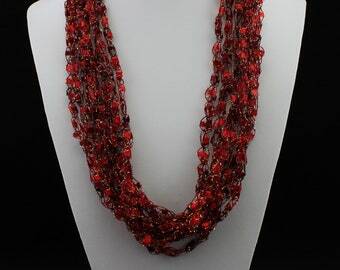 All necklaces are approximately 26 inches around, but if you desire a custom length please message us. Perfect for travel - they add little weight to your suitcase and they take up practically no space. We ship each in its own protective 4x6 inch plastic bag. 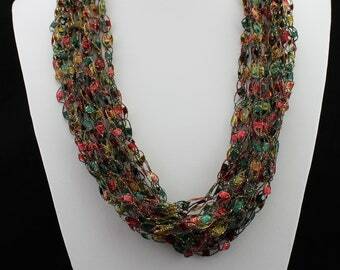 Multiple necklaces can be bundled together for no added postage. 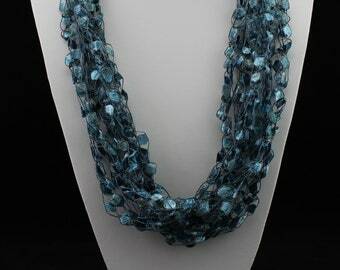 All necklaces can be gently hand washed and laid flat to air dry. 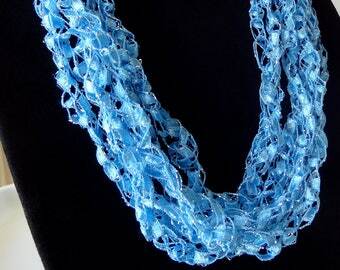 Although they look delicate, they are very durable. 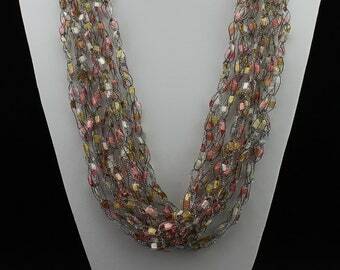 Light weight necklace. Love it!